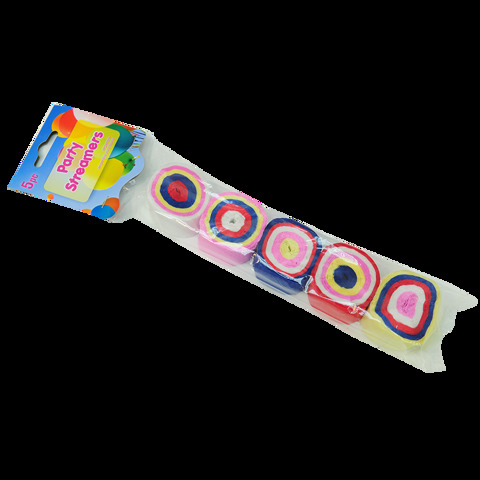 Crepe Streamers Rainbow Col. 5Pk. Approx 58 x 25mm Each. Assorted Colours In Each Streamer. Crepe Paper. 0 Packaging: Poly Bag with Header Card.